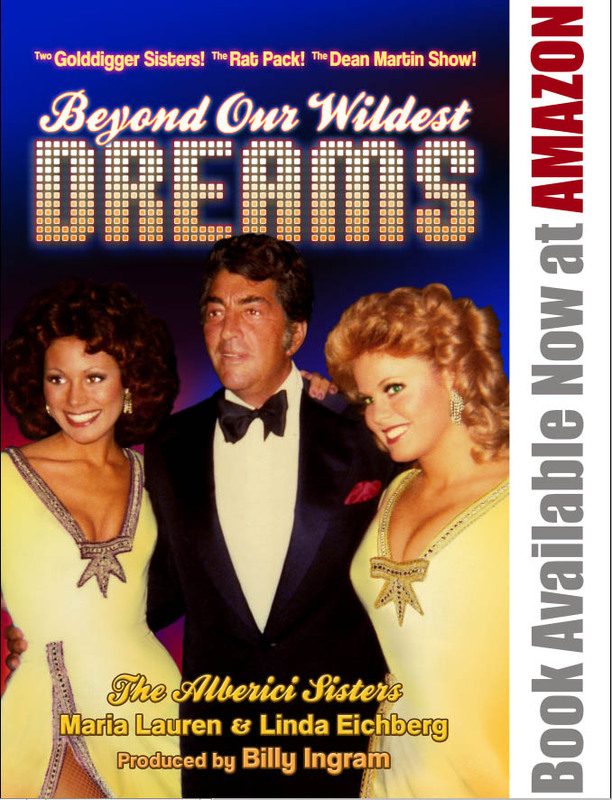 Two young sisters (Alberici Sisters) join Dean Martin’s fabulous Golddiggers, one of the grooviest girl groups of all time! Within the span of three decades, they performed with Las Vegas superstars like Frank Sinatra, Louis Prima, Gene Kelly, Jerry Vale, Donald O’Connor, Steve & Eydie, Jonathan Winters, Bob Hope, Petula Clark and so many more. The book, BEYOND OUR WILDEST DREAMS features personal stories and rare, unseen photos from the entertainers who lived it! What was it like to tour internationally, entertain on The Tonight Show and headline in Las Vegas during the glory days? Taping The Dean Martin Show, the last successful Rat Pack reunion with Dean and Frank, the untold story behind the Martin & Lewis reunion, the deadliest mob hit in American history, the Cotton Club Murder connection, the last gasp of the golden age of entertainment —brought to life in vivid detail by the people who were there. Real stories about real people who happen to be Legends! Sometimes reality is stranger than fiction! 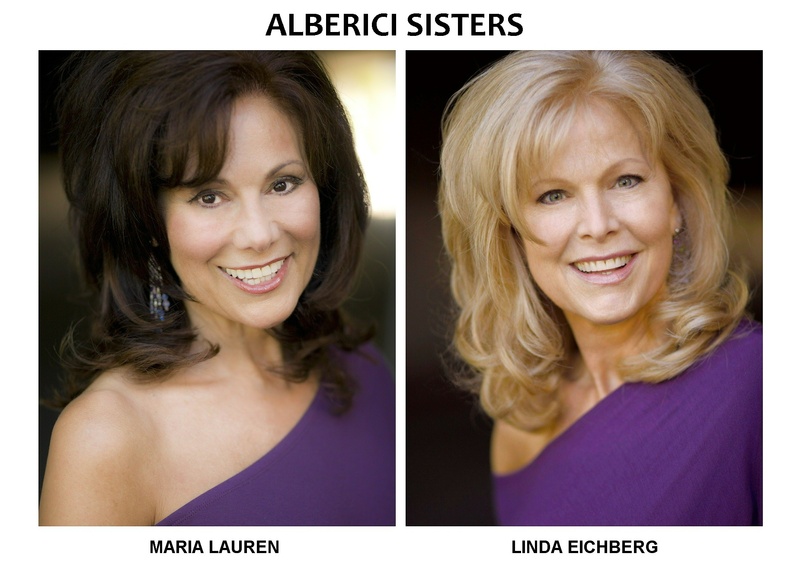 “The youngest generation of singers around today who performed with The Rat Pack”, the Alberici Sisters, Maria Lauren and Linda Eichberg are presently doing TV, radio interviews, book signings and performances to rave reviews! Their appearances are a musical tribute to the stars they had the pleasure to know and respect as the ultimate entertainers. The Alberici Sisters are certified fitness instructors and currently teach and motivate at corporate events and health & wellness centers. They also gratefully lend their time and talents to non-profits, community & church service. Beyond Our Wildest Dreams – Produced by Billy Ingram.